This is one of my favorite desserts to make! Cherry pie is my absolute favorite pie, but I think I lost my pie pan somewhere along the way. 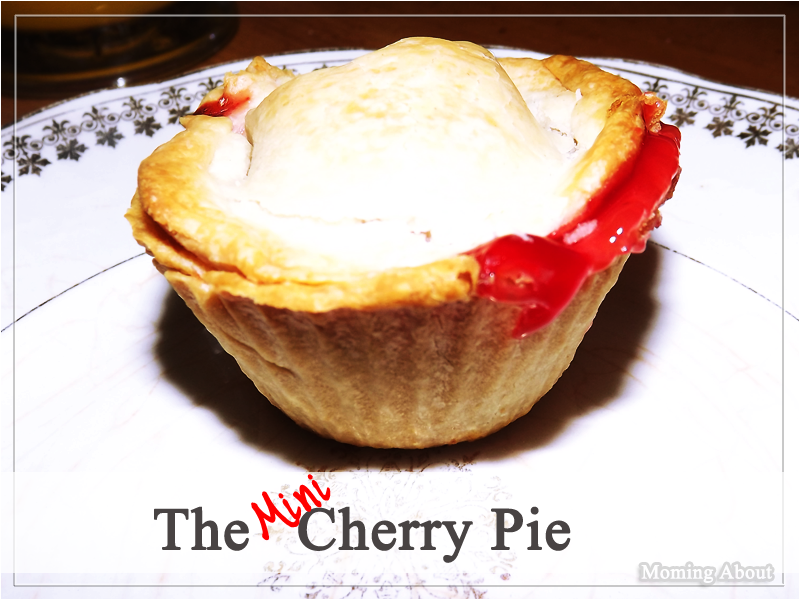 Therefore, the (even better) mini cherry pie was born. It's super simple to make and very delicious! Tear thawed pie crust and fill cupcake pan. I also was luck enough the find that one of my larger around cup was about the perfect size for the cup and one of my smaller cups was perfect sized for the top. However, I still often just tear it up and guess. Spoon in cherry pie filling. Smoosh pie crust top to the pie crust cup. Bake 10-15 minutes at 450 degrees or whatever your pie crust box tells you to.